Finding the best dive computer under $500 should not be a challenge. That is if you are looking for a DC for recreational diving. 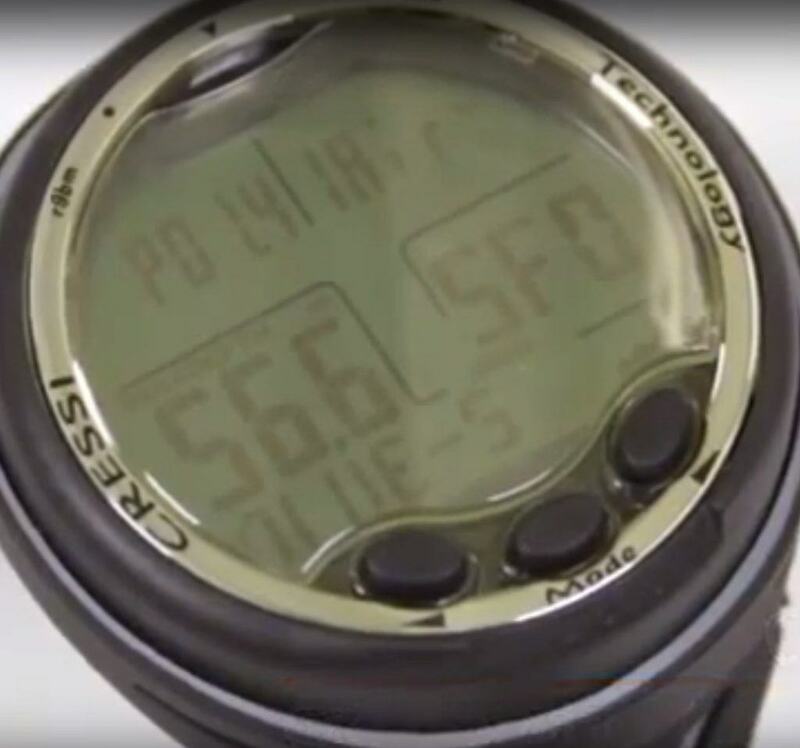 Don’t expect to get a device that has features that you’ll need for technical diving. We cover what you can expect from a device at that price point and what you won’t get. Lastly, we showcase ​five dive computers that stay under the $500 mark. 2.1 What Features can you expect? 2.2 What will you be missing? At this price point you’ll get the basics. You can expect a reliable device that will keep you safe during a dive. A safe RGBM algorithm that continuously calculates your dive data to keep your dive within healthy limits. Pretty much each dive computer manufacturer has their own variation of a RGBM algorithm. Some are more conservative than others. If you dive with a buddy that has a DC from a different brand then you have to expect your dive limit calculations to be different! Most algorithms also offer the ability to change the conservatism of the calculations. The settings allow to change the limits within the algorithm to be more conservative which ultimately means they end up providing you a larger safety margin. Most dive computers in this price range will provide the ability to have one nitrox mix. Usually they support oxygen levels up to 50%. For most beginners and recreational divers being able to manage one gas mix is good enough. If you’re relatively new to the sport then diving with a single gas mix will cover you for usually the first few years if not even for a lifetime. You find more and more dive computers that can handle up to two gas mixes. Most newer models are capable to do that. Depending on your dive needs this might or might not be an important feature for you. For recreational diving it often is of less importance to have this feature. These are the alarms that are most important for a recreational diver and they are usually all covered by a DC at this price point. You should expect the DC to have a solid dive log with enough memory to store dive data for at least 20 dives. Some models even provide enough capacity for over 100 hours of dive data to be collected. Usually, the dive data will be collected at a fixed rate. Some models will allow to adjust the collection rate. Dive computers offering a dive log will also offer the (optional) ability to connect the DC to your computer. All brands have their own software to install on your PC and in most cases you can get the software for Windows or for the Mac. What will you be missing? Usually you will not find a built-in dive planner in this price category. However, you should be able to offload the data to your computer and perform dive plans on the PC. Air integration is nothing you will find in this price category. You might get lucky and find a DC on sale that is capable of air integration but you most certainly will not get a device that has an air transmitter included. Integrated digital compasses are something you will have to look at the next price level. Usually, these devices will be more in the $800 to $1,000 range where you can see digital compasses being part of the feature set of the DC. Let’s have a quick look at the 5 best dive computers under $500 below. These are not ranked in a specific order but do show our picks for the best wrist scuba computers in that price category. 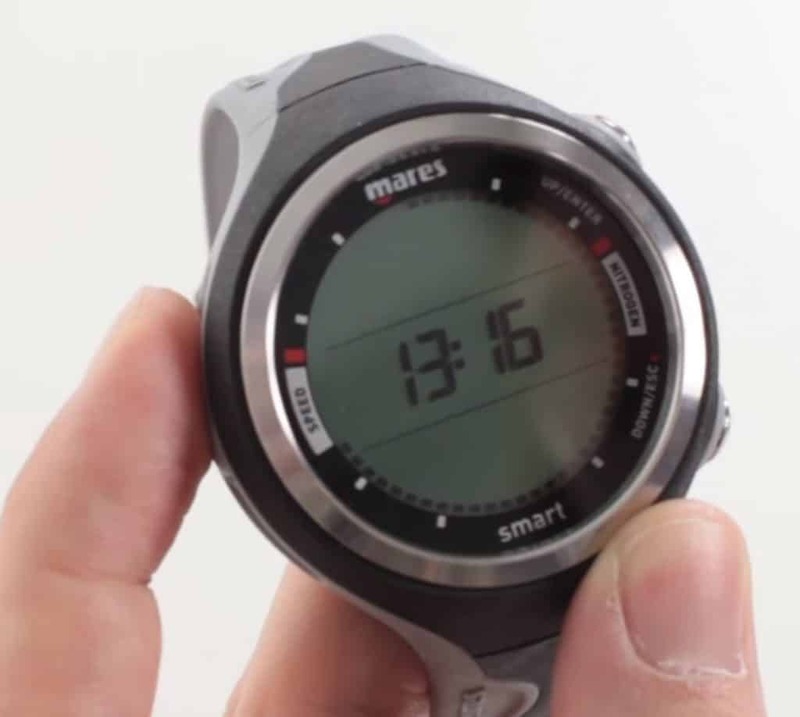 The Mares Smart is a wrist watch sized dive computer that packs a lot of features. It’s one of the few dive computers in this category that actually can handle two gas mixes. It checks off all the required features you’d expect in this class. The dive log on the Smart can hold around 36 hours of dive data that you can then transfer to your PC or Mac for further analysis or to plan future dives. 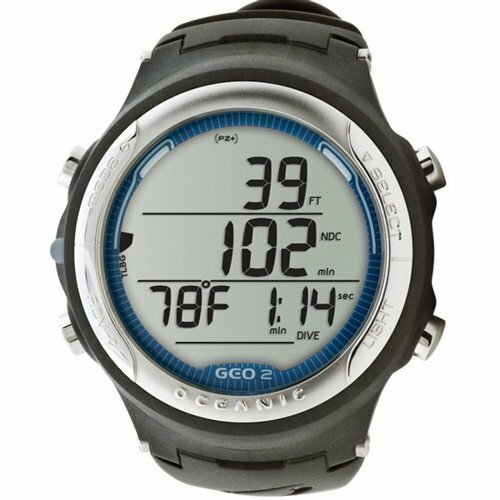 The Oceanic Geo 2.0 is a feature rich dive computer in this price category. It offers Oceanic’s unique dual algorithm. This allows you to switch between two different algorithms allowing you to pick the one you feel more comfortable with. This feature also is great if you dive with a buddy that has a different dive computer. Chances are that one of your algorithms will match that of your buddies DC and as such you won’t get conflicting data and alarms. The Geo 2.0 is also capable of handling two gas mixes. It can even go up to 100% oxygen on the mixes which is quite unique at this price point. 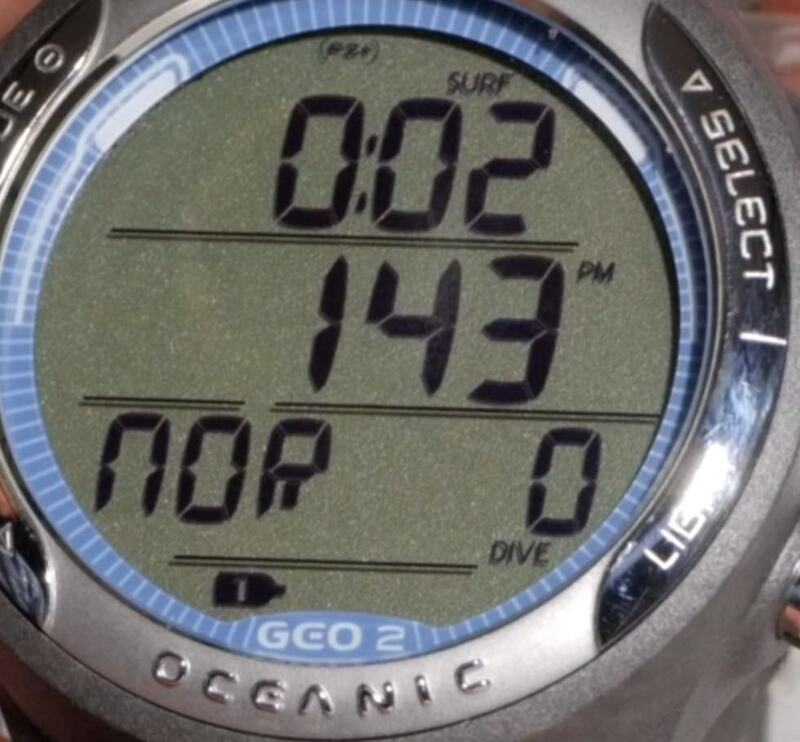 The dive log is capable of keeping the data of up to 24 dives. The Zoop Novo is the updated model of the very successful Zoop. It is a huge upgrade in capabilities and it definitely is one of the best entry-level dive computers you can find. It can handle one gas mix up to 50% oxygen. The dive log can keep an astonishing 140 hours of dive data. Connected to your PC you can also upload the data to Suunto’s Movescount portal where you can enrich the dive data with pictures and video and share it with friends and family. 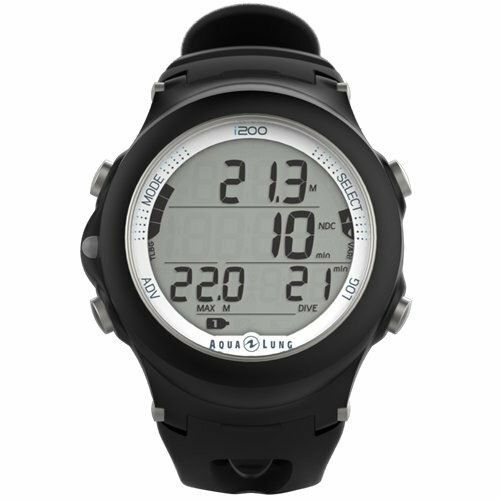 The i200 is the entry level dive computer from Aqua Lung. It offers all the features you expect and quite a little more. Similar as the Mares Smart, it’s roughly the size of a wrist watch. It handles up to two gas mixes with up to 100% oxygen. 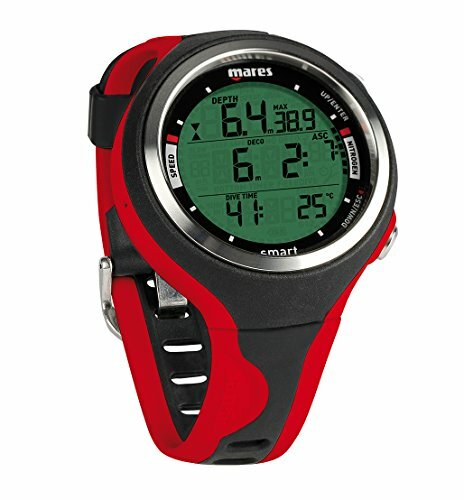 The dive log is capable of handling the data for up to 24 dives. The optional connection to your computer enables you to download the dive data from the device to your computer. 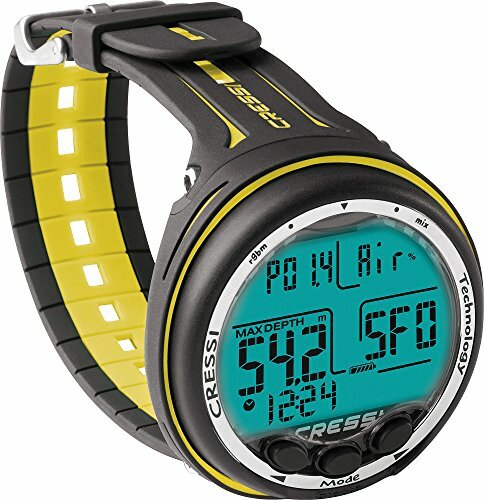 The Cressi Giotto is one of the entry-level dive computers by Cressi. The level underneath it is the Giotto which is probably the most complete beginner and entry-level dive computer available. The Giotto is capable of handling two gas mixes with oxygen levels up to 99%. That’s more than sufficient for recreational diving. The dive log is generously sized at up to 70 hours of data to be stored. Connecting the Giotto to your computer allows you to download the dive data for further analysis and to plan future dives. There’s a good selection of highly capable dive computers in the category under $500. Looking at any of the five devices shown above as well as the many other scuba computers in this price range will provide you with a solid dive computer that’ll last you for years to come. Which device you eventually pick depends somewhat on your personal preferences. 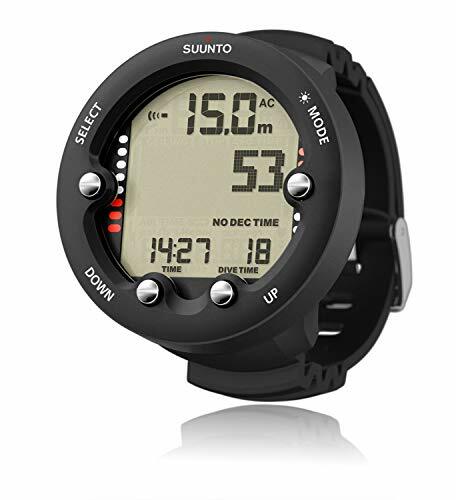 Ask yourself whether you want an oversized device like the Suunto Zoop Novo or the Cressi Giotto. Or do you prefer a watch sized model like any of the other three? Larger displays often allow for better reading of the information on the screen under water. It also often means that it’s easy for you to switch the battery. Watch sized dive computers often have to be sent to a service center or to a dive shop to have the battery changed. 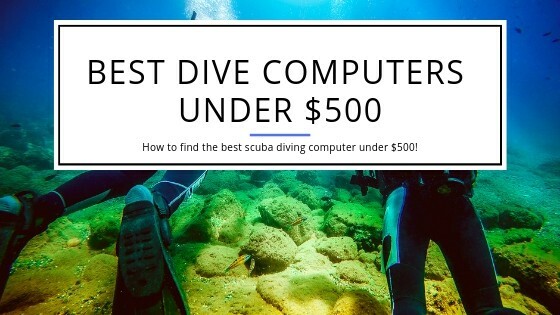 Let us know what dive computer you like best under $500 in the comments below. We’re looking forward to hearing from you. We’re constantly checking the market for new models that might replace one of the five listed here. While there are new introductions to the market, none of them so far has had features that would have made us want to replace the currently listed dive computers. When we check this best of list for dive computers under $500 for the year 2018 we didn’t change our picks. Why? They still are overall the best you can get. Now, having said that, we did discuss for a long time whether we should replace the Mares Smar​t with the new Mares Puck Pro Plus. They offer somewhat similar features yet the Puck Pro Plus is larger in size. This has advantages when it comes to readability as the screen simply is larger. The downside is that you can only it for diving. The Smart can be worn as an everyday watch and as we did want to have a balance in our picks we decided to keep the Smart in the list due to it’s potential everyday use. We had a similar discussion about whether to keep the Cressi Giotto in the list or replace it with the Cressi Leonardo. Why you wonder? Well, the Leonardo is a little cheaper due to not having all the features and is probably the most bought scuba computer available. Yet, again due to giving you a few more different choices we decided to stick with the Giotto. It offers more features for a slightly higher price and we feel that in the long run you might get more out of it than of the Leonardo!